Planning Director maintains Vons is set to open by year’s end though no specific date has been set by the corporation. AVALON — Anyone who has visited Catalina Island, or any island for that matter, knows some of the luxuries mainlanders have become accustomed to are not always readily available. While visiting Catalina last summer, this journalist came across plenty of folks living on the island who described the monthly routine of shuffling an empty suitcase to Target or Costco to gather goods to take home on the ferry. Big name stores, such as Vons, are far and few between, and the opening of the full-service location on the Island is much anticipated. 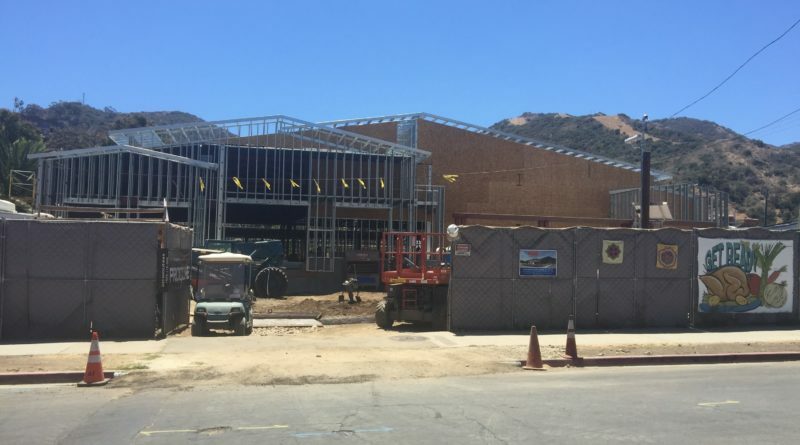 In the past, there has been some difficulty bringing the supermarket’s plans to fruition in Avalon, but it appears that the 23,044 square foot store destined to open on Summer Avenue has mostly stayed on track once construction began. According to Avalon Planning Director, Amanda Cook, Vons is sticking to the “yearend” grand opening and progress has been smooth. “Vons has not changed their ‘yearend’ opening but are unwilling to be ‘date specific,’” Cook told The Log in an email. At a city council meeting that took place on Sept. 18, there was discussion to approve increased parking in the area of 200 block of Summer Avenue, adjacent to the new Vons. However, for the time being, the council decided against this action until the store opens. There is currently a Vons that operates at 123 Metropole Avenue, which is the only grocery store in town. While this location is stocked with most necessities, it would likely be considered closer to a convenience store by those not used to island living. Construction began on the Summer Avenue location last year in December. Questions about the process can be directed to Amanda Cook at 310-510-0220 ext. 110 or via email at planning@cityofavalon.com.